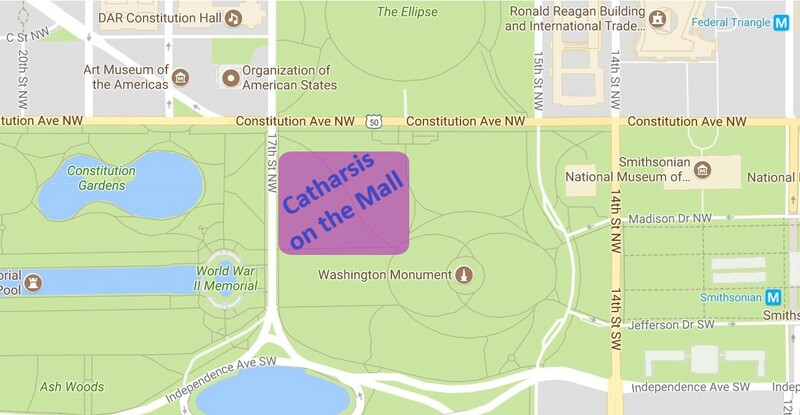 Catharsis on the Mall 2017 will be held on the National Mall, south of Constitution Ave and east of 17th St NW, between the Washington Monument and the World War II Memorial. Parking: NPS installed meters in July that run 7a-8p every day with a 3 hour limit. We discourage driving with plans to park. NPS Meter FAQ / alternative suggestions. 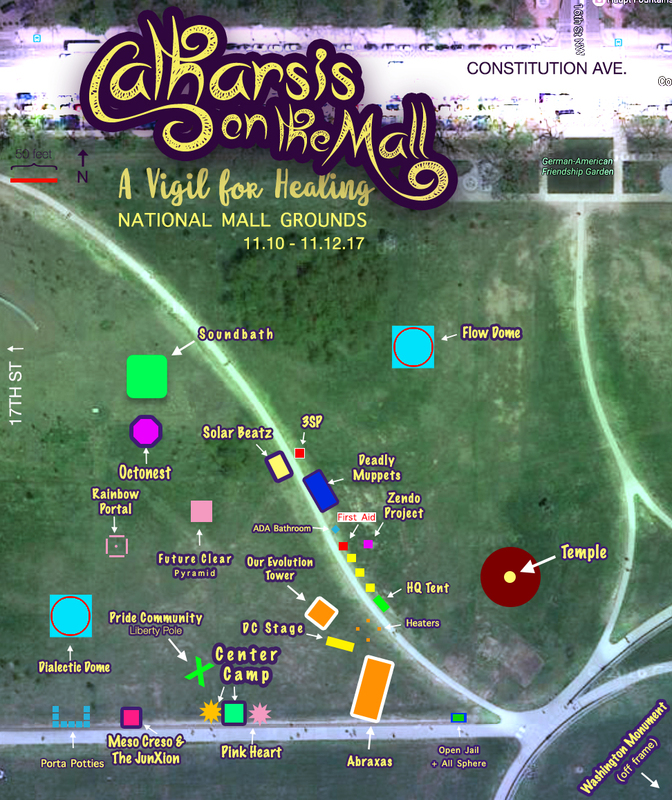 Catharsis on the Mall 2017 will be held on the National Mall, in the shadow of the Washington Monument,from Friday, November 10 noon – Sunday, November 12 noon. Vigilers can expect to find: a like-minded community of participants who care about healing for ourselves, each other and our society; large scale art, workshops, speakers, music and activities during the day and evening; a variety of small scale local art provided by YOU; healing and gathering spaces; music and cathartic dancing on Saturday night until sunrise. We will have trained First Aid volunteers readily available on site during the core hours of the event (Friday 12 noon – Sunday 11:00am). Their clothing will be marked and they will be reachable by anyone with a radio. The First Aid team is not a medical team, we will not provide any Emergency medical care. However, we will help facilitate transportation to the nearest hospital in the case of an emergency.